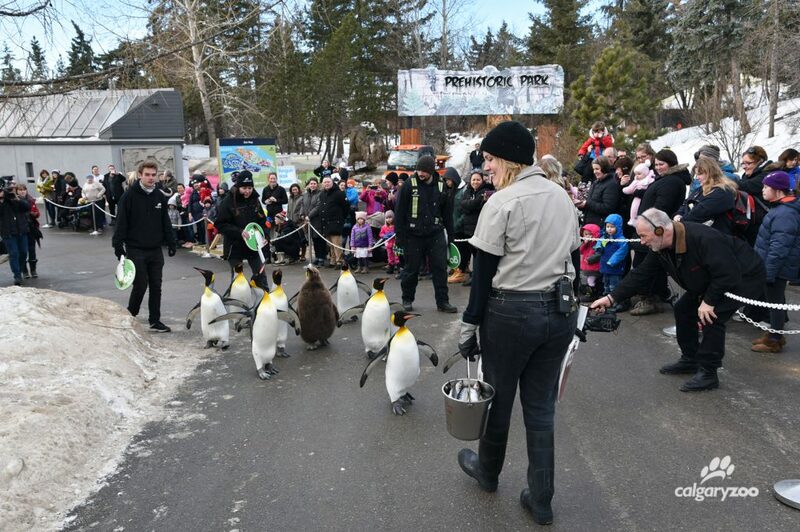 The Calgary Zoo’s highly anticipated Penguin Walk is back for another year of waddling wonder! Starting Wednesday, January 17, 2018, the birds will walk every day at 11 a.m. Joining in will be the zoo’s newest king penguin, Cleo. She hatched on August 1, 2017, and at five and half months old, may choose to participate in her very first Penguin Walk this year. Zoo guests may see as many as 10 king penguins participating in the daily walk including: Diana, Grace, Hera, Arthur, Caesar, Tut, Solomon, Nero and Edward. The Calgary Zoo Penguin Walk runs daily at all, starting at January 17, 2018. Youngest chick Cleopatra leading the way at the Penguin Walk. The walk begins by Penguin Plunge, loops down to Discovery Trail Bridge before coming back up to the birds’ habitat. It is dependent on the birds’ desire to walk as well as the weather. Please note- if the temperature warms up to +5ºC, drops to below -25ºC, or the wind exceeds 20km/h, it will be cancelled for the safety of the penguins. Please check the zoo’s website and social media channels for any updates. 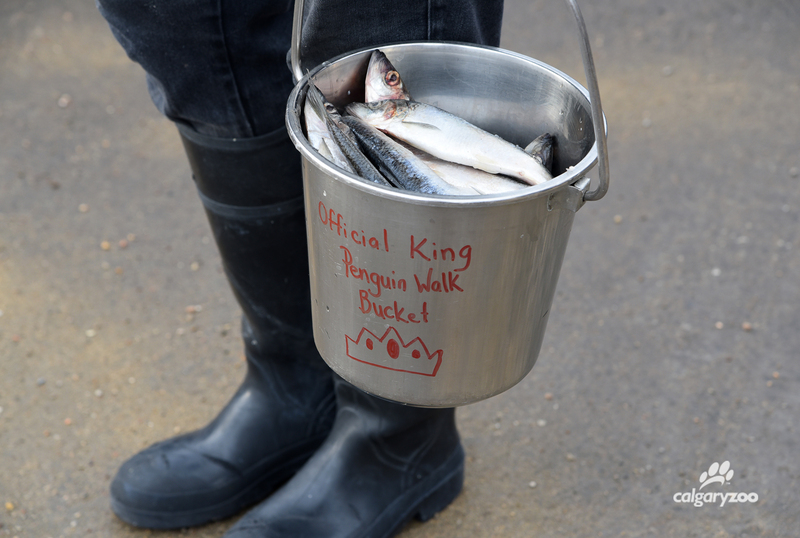 The penguins at the Penguin Walk decide if they want to stroll- and if they do, they’re given their favourite treat. 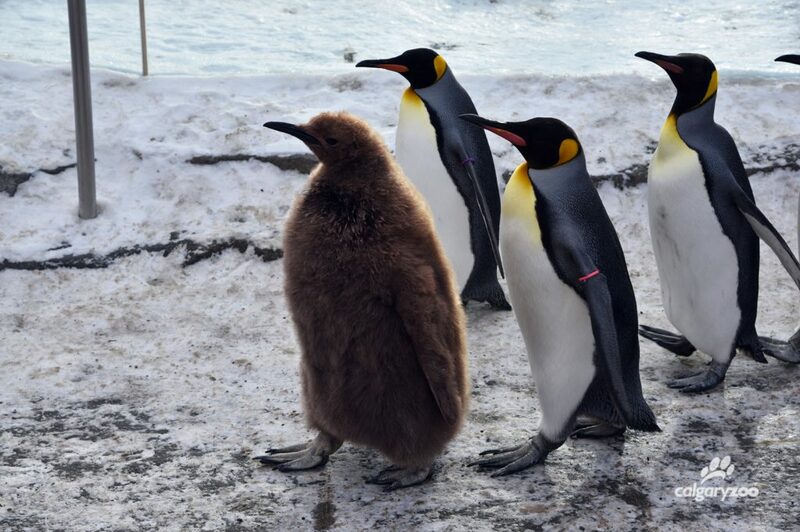 In the wild king penguins continue to face threats of rising sea temperatures and the impacts of climate change. 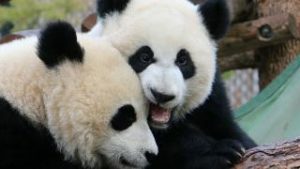 As a wildlife conservation leader, the Calgary Zoo encourages its visitors to make small changes such as choosing to purchase sustainable seafood products. Even attending the zoo can help penguins – each visitor’s attendance helps to contribute to widlife conservation.